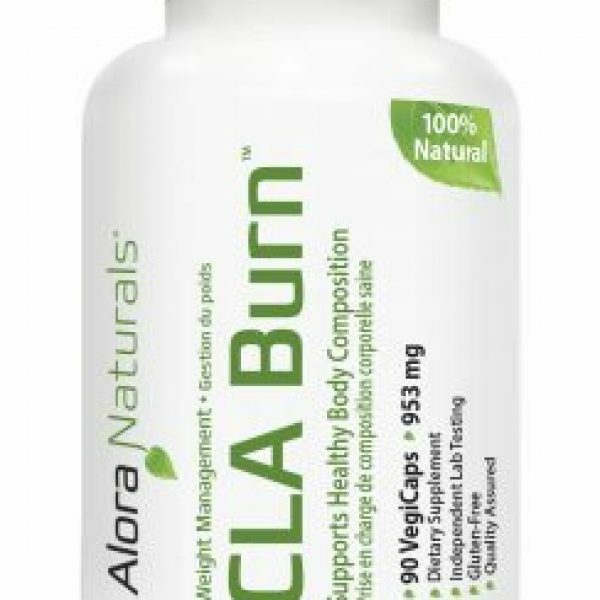 CLA Burn™ contains high quality conjugated linoleic acid (CLA) derived from 100% pure safflower oil. 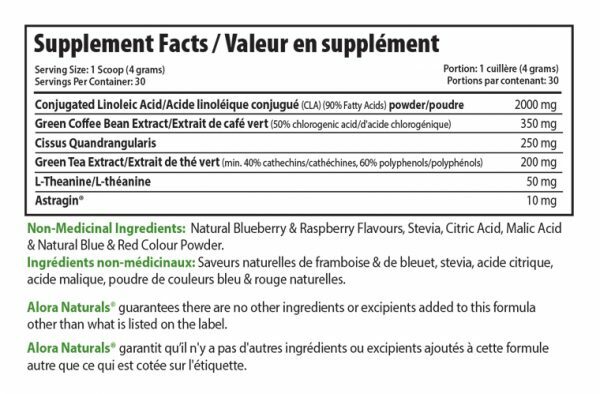 Recent scientific studies have shown that CLA reduces body fat while maintaining lean body mass. CLA is a natural ingredient that works to block the enzyme called lipoprotein which helps to absorb fat into fat cells. CLA blocks this enzyme and diverts unused fat to muscle cells. 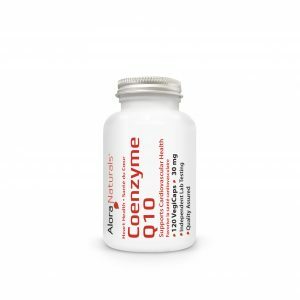 CLA then activates enzymes which help your muscles to burn this fat. This increased breakdown of fat helps to prevent fat accumulation in fat cells and helps to fuel and preserve muscle mass. A double-blind trial found that exercising individuals taking 1,800 mg per day of conjugated linoleic acid (CLA) lost more body fat after 12 weeks than did a similar group taking a placebo. 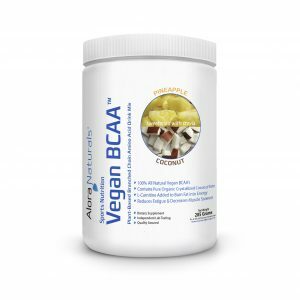 CLA Burn™ contains 2000 mg of CLA per serving giving you the optimal amount to effectively reduce body fat! 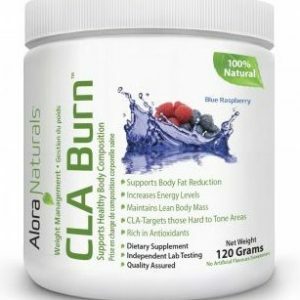 CLA Burn™ accelerates metabolism, enhances muscle growth, increases energy levels, lowers cholesterol levels, reduces insulin production preventing carbs from being stored as body fat and enhances the immune system. 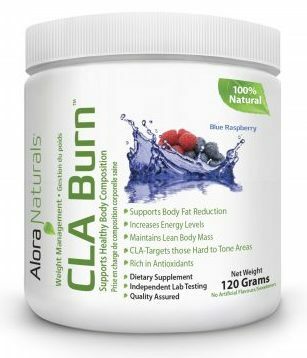 Alora Naturals CLA Burn™ contains a powerful and active supply of CLA 90%, along with other effective ingredients to help accelerate your fat burning potential! HOW DOES GREEN COFFEE BEAN EXTRACT WORK TO AID WEIGHT LOSS? Green Coffee Bean Extract serves as both a natural, safe weight-loss agent and is a powerful insulin stabilizer and antioxidant. Coffee, and caffeine, have a long been used as a mild weight-loss agent, but caffeine is not the only ingredient linked to coffee’s metabolism-boosting effects. 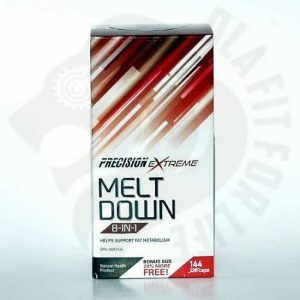 Caffeine is a stimulant that increases caloric expenditure and promotes fat burning by being a stimulant. Green Coffee Bean Extract creates fat loss through mechanisms that are not based on over stimulating the nervous system, primarily through the insulin stabilizing action of the chlorogenic acid. The green (raw) coffee bean contains high amounts of chlorogenic acid, but as soon as you roast the coffee beans you lose most of the chlorogenic acid and other beneficial polyphenolic (antioxidant) compounds. Green Coffee Bean Extract contains antioxidants similar to, and in similar amounts to, those of green tea and grape seed extract. Antioxidants protect our cells against oxidative stress by helping to reduce free radicals in the body. This means that the benefits of green coffee bean are broader than just aiding in weight loss. A human study showed that when up to 1,050 mg (350 mg three times daily) of standardized green coffee bean extract was consumed, subjects experienced a significant amount of weight loss, after 22 weeks. This high dose (1,050mg) was well tolerated and did not cause any adverse side effects. WHY IS GREEN TEA ADDED? A recent clinical study showed that those who took Green Tea Extract three times a day burned more calories per day than those taking a placebo. This points to Green Tea being a safe thermogenic agent, gently speeding up the metabolism. Green Tea also works to stabilize blood sugar levels, which helps to prevent carbs from being stored as fat in the body. The herb Cissus Quadrangularis is related to the grape family, and has been used medicinally in India for centuries. Cissus supports fat loss and lean muscle growth. Cissus is commonly used to support joint, tendon and connective tissue health and, because it is part of the grape family, Cissus also provide strong antioxidant benefits. L-Theanine is an amino acid derived from green tea leaves that promotes a calm and relaxed mood. Studies indicate that L-Theanine may encourage alpha brain wave activity, which is associated with mental calmness and relaxation. L-Theanine quickly raises serotonin levels in the body reducing agitation and calming the nervous system. When combined with caffeine, L-Theanine works to promote an alert focused mental state, without the jitters. 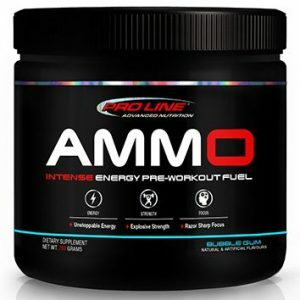 Even though this formula has only about as much caffeine per serving as half a cup of coffee, we have included L-Theanine to balance out the caffeine’s effects. This way the formula can be energizing without being agitating. WHY IS ASTRAGIN INCLUDED IN THIS FORMULA? 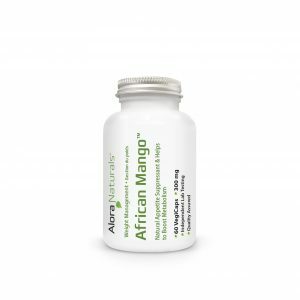 AstraGin is a patented extract of two herbs, Astragalus and Notoginseng, clinically shown to dramatically improve nutrient absorption in the body. 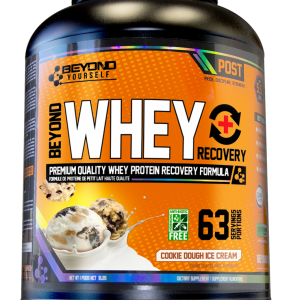 The increased bioavailability of all the nutrients present in this formula makes it even more efficient at producing the desired effects of fat burning, and increased energy, endurance and recovery.